Our gut bacteria have been linked to just about every function in the human body. It plays a large role in digestion, immunity, mood, weight, and skin. It’s also been linked to numerous autoimmune diseases, such as rheumatoid arthritis. Rheumatoid arthritis is an inflammatory disease where the body turns on itself and attacks the joints. It causes pain, stiffness, and swelling in hands and feet. It can also destroy bone and cartilage. 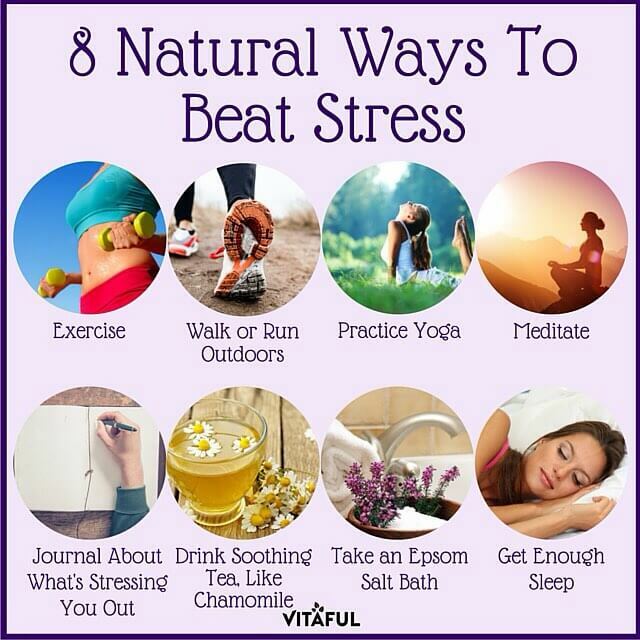 Plus, it can even damage organs like the lungs and kidneys. While scientists aren’t entirely sure what causes rheumatoid arthritis, new studies are showing a clear link between the disease and gut bacteria. In one study led by Dr. Dan Littman of NYU School of Medicine, researchers examined the DNA in 114 stool samples. The samples came from healthy participants along with people who had rheumatoid or psoriatic arthritis. Researchers found patients with the autoimmune disease were more likely to have the bacterial strain “Prevotella copri” in their intestinal tracts than patients without the disease. Researchers also say the presence of Prevotella copri could result in a loss of healthy gut bacteria, which makes matters even worse. Various animal studies have also found a connection. While more research is still needed, these current findings are quite telling. I know this is shocking, but research suggests up to 80% of probiotic brands are useless! The main reason probiotic supplements fail is because they’re weak. Typically, capsules and tablets can’t protect the sensitive cultures from harsh stomach acids. This means, the beneficial bacteria never reach your intestine, where they can benefit your health. That is why doctors, medical professionals, and the Gut Health Project recommend taking a high quality daily probiotic supplement, like Perfect Biotic! Perfect Origins is a powerhouse supplement that contains 15 superior strains of bacteria and has 30 billion high-quality CFUs. If you want to learn more about how Perfect Origins will rebalance your gut and help cleanse your colon, click here. The formula has been used by thousands of happy customers! Furthermore, Perfect Origins wants you to be completely satisfied and that’s why they offer a 60-day money-back guarantee on their products. Yep, a 100% satisfaction guaranteed return. No questions asked. It’s official … it’s the season for sneezin’. You know what I’m talking about. It’s that time of year when everyone seems to sneeze uncontrollably as they reach for the tissues in their purse and wipe their red, runny noses. It could be a common cold or maybe the flu. One thing is for sure, though, you don’t want any part of it! The only thing you have to rely on is your immune system. If only you could talk to your body and tell it to pull out a shield to protect you from all those germs. Did you know your gut and immune system are very closely linked? In fact, approximately 80% of your immune system is located in your gut! So if you want to stay clear of illness, you need to keep your gut in tip-top shape. In order to keep your gut healthy, you need to balance out your gut flora. When in balance, your gut should house approximately 80% good bacteria and 20% bad bacteria. When bad bacteria takes over, your immune system weakens. You will become more susceptible to illness, digestive issues, skin rashes, breakouts, weight fluctuation and mood swings. An overload of bad bacteria could lead to leaky gut syndrome and autoimmune disease. Find Out The Other Benefits Of Probiotics! Chances are your gut is overloaded with bad bacteria, which means you are going to need to make some lifestyle changes. 1) First things first, you need to clean up your diet. 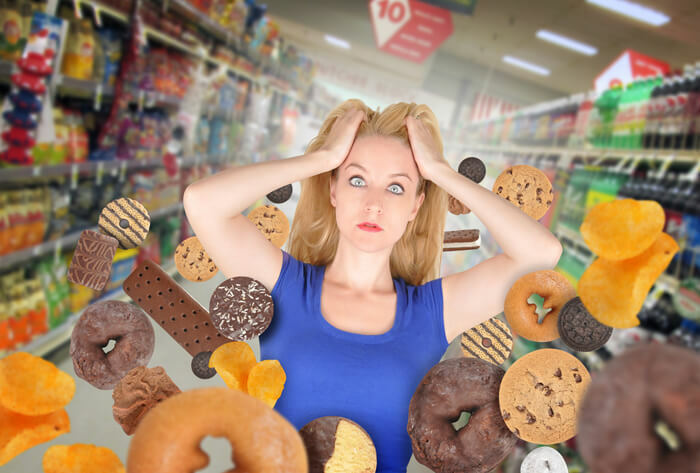 Sugar, unhealthy fats, gluten and GMOs kill off good bacteria and feed bad bacteria in the gut. 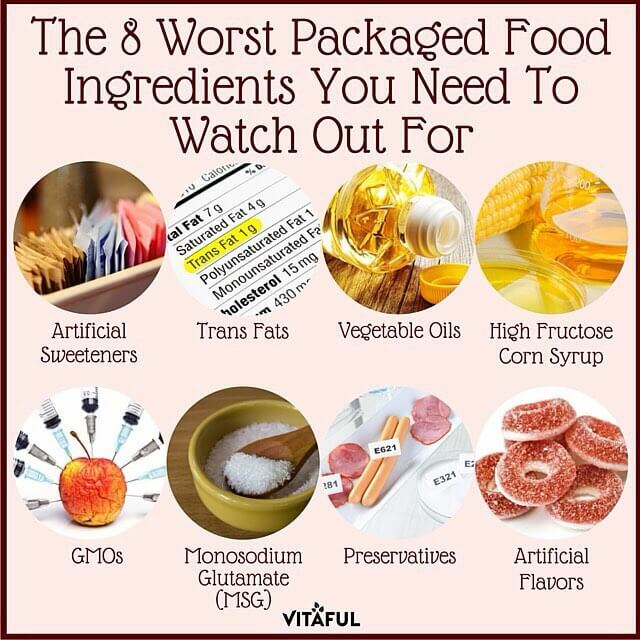 The best thing you can do for your health is to eliminate processed foods and the 8 following ingredients. Instead, adopt a clean diet. 3) Finally, get in your daily dose of probiotics! This is crucial to improving your gut health and immune system. Probiotics are live, beneficial bacteria. So by taking a daily probiotic supplement, you are literally replenishing your gut with exactly what needs. If you currently take probiotics, you may feel a sense of security. You think you’re reaping all of their benefits. However, not all probiotics are created equal. In fact, research suggests up to 80% of the probiotics you take never reach your intestine, where they can benefit your health. The main reason probiotic supplements fail is because they’re weak. Typically capsules and tablets can’t protect the sensitive cultures from harsh stomach acids. That’s why The Gut Health Project recommends Probiotic America. Click here to find out more about Probiotic America! Millions of people struggle from a condition called leaky gut syndrome and don’t even know it. When the gut isn’t working properly, chances are you have “leaky gut syndrome.” Just like it sounds, this means your gut is leaking. The lining of your digestive tract is full of pores. Normally, those pores are tiny and work to keep harmful bacteria, toxins and undigested food particles from passing into the bloodstream. When someone has leaky gut syndrome, though, those pores widen. Widened pores allow harmful substances to literally “leak” into the bloodstream (as shown in the photo above). As you can imagine, your body’s immune system will treat the leaked bacteria, toxins and undigested food particles as invaders. Your body will begin to attack itself, trying to ward them off. If leaky gut persists, it can lead to more serious autoimmune diseases. There are five main causes of leaky gut syndrome. To heal leaky gut, you must first clean up your diet. Then you’ll need to start repairing your damaged intestinal tract. You can do this by eating healing foods and balancing your gut bacteria with probiotics. I have outlined a simple, yet effective, 3-step repair plan. How quickly this plan will work truly depends on your body. Since everyone’s digestive issues are different, there is no time stamp on when your gut will be healed. With that said, this repair plan WILL help! Go through your kitchen cabinets/refrigerator and remove all processed foods. It’s important to detox your body from sugar, unhealthy fats, gluten and dairy. You will also want to ditch conventional produce. Instead, make the switch to organic. This will eliminate harmful pesticides and GMOs. During this process of cleaning up your diet, it’s recommended to try the elimination diet. Click here to learn more about this one-month diet plan. 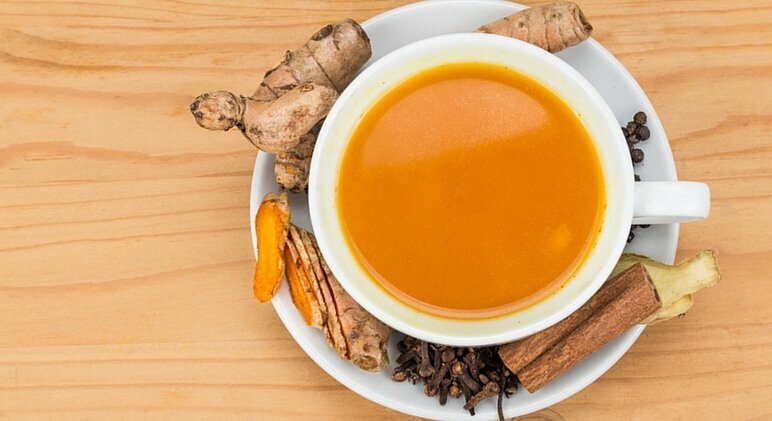 Bone broth is one of the best foods to help heal a leaky gut. It’s made from simmering animal bones in water for 8-10 hours. While simmering, the bones release vitamins, minerals and collagen. Collagen is key for repairing a damaged intestinal tract. Click here to learn more about bone broth (recipe included). COLLAGEN – As I just mentioned, collagen is key for repairing a damaged intestinal tract. That’s because it contains amino acids that are essential to cell growth. Those growing cells work to shrink widened pores, helping to keep harmful substances from passing into your bloodstream. You can consume collagen naturally through animal products such as eggs, poultry and fish. You can also find collagen protein powder. Make sure to choose a powder from grass-fed, pasture raised cows with no antibiotics or chemicals. L-GLUTAMINE – This supplement is an essential amino acid. It fights inflammation and thickens cell walls. You can find this supplement in powder form. PROBIOTICS – Probiotics are good living bacteria that help to balance out the bad bacteria in your gut. You can consume probiotics through fermented foods such as pickles, sauerkraut and kefir. Yogurt is also rich in probiotics. Along with eating probiotic-rich foods, you should start taking a daily probiotic supplement. We recommend Perfect Origins – Perfect Biotics. Click here to learn more about the superior strains and health benefits of Perfect Biotics. Find Out How Probiotics Can Heal Leaky Gut and Improve Your Digestive Health HERE! Click Here To Learn More Before It’s Too Late. Aloe vera …. you’ve heard of the plant before. Chances are you’ve even rubbed its famous gel on your skin to get rid of painful sunburns after a trip to the beach. But if you think that’s all aloe vera is good for, think again. 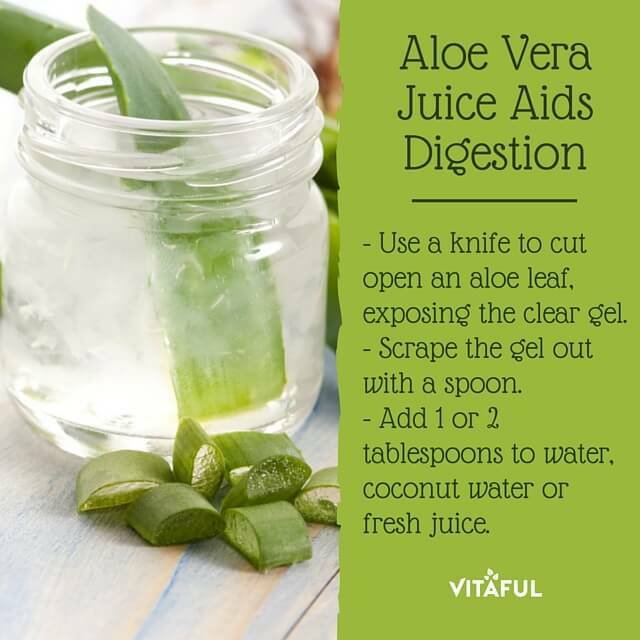 Ingesting the clear gel from the inside of an aloe vera leaf can have a major impact on your digestive tract. We’ll get to how in just a minute. But first, let’s take a look at the nutritional benefits. 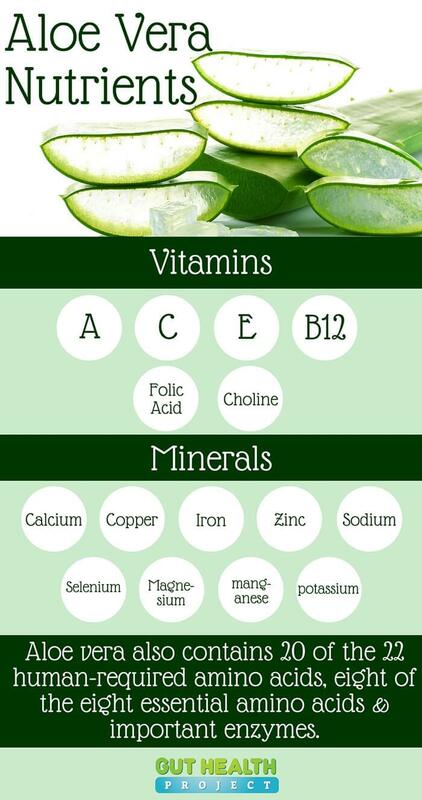 Aloe vera contains key vitamins, minerals, enzymes and amino acids that are vital for our bodies to function properly. People who suffer from digestive issues often experience inflammation in the digestive tract. Since we know inflammation is the root cause of many illnesses, it’s important to incorporate anti-inflammatory foods into our diets. Drinking aloe vera juice has been shown to fight inflammation, soothe and relax the GI tract. Aloe vera gel can help heal the lining of a damaged intestinal tract, healing and/or preventing leaky gut syndrome. This is crucial because when a person’s gut lining is damaged, toxins can enter the bloodstream. This can lead to system-wide inflammation and initiate an immune response in the body. Aloe vera is considered a laxative-acting food. The gel-filled plant increases intestinal water content, stimulates mucus secretion and contains enzymes that help the body break down food. Again, aloe vera contains enzymes that help the body break down food. Then the plant’s soothing effects help to easily move that food through the intestines, encouraging regular bowel movements. Along with its rich nutrient content, aloe vera has antibacterial and anti-viral properties. For this reason, aloe vera helps rid the body of harmful toxins and food buildup. Learn the dangers of toxic buildup by clicking here. If you’ve spent any time clicking around our Gut Health Project website, you know the importance of good gut bacteria (AKA probiotics). You also know in order for probiotics to flourish, they need to feed off prebiotics. Well, aloe vera is considered a prebiotic! Learn more about the importance of prebiotics here. Drinking 1/2 a cup of aloe vera juice before eating a meal has been shown to help reduce acid reflux. While aloe vera is available in a few forms (juice, pills and powders), one of the best ways to consume it is by drinking aloe vera juice. *It’s important to note that you cannot go into a grocery store and pick up a bottle of aloe vera sunburn relief gel and drink it! Those products are loaded with chemicals and are toxic if ingested. Aloe vera should not be ingested in high doses because it can cause stomach cramps and diarrhea. Do not consume aloe vera if you’re pregnant and/or breastfeeding. There are reports of aloe vera causing miscarriage and birth defects. If you’re on any medications, consult with your doctor before drinking aloe vera juice.